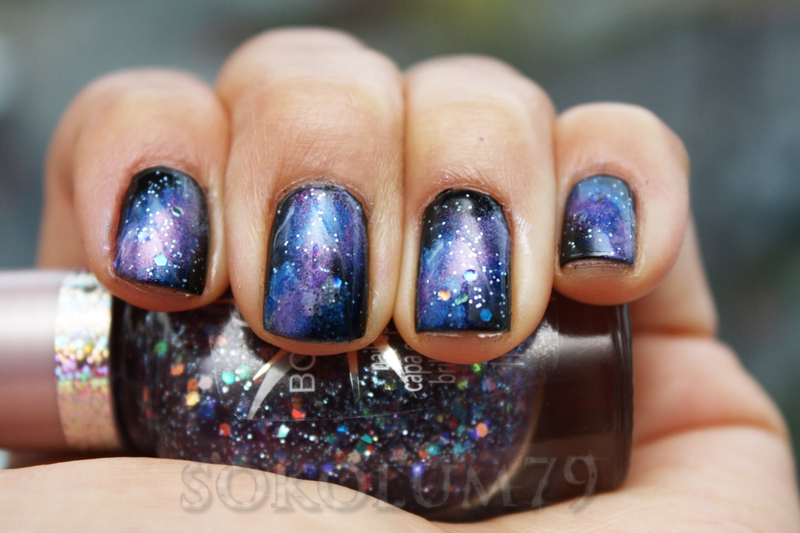 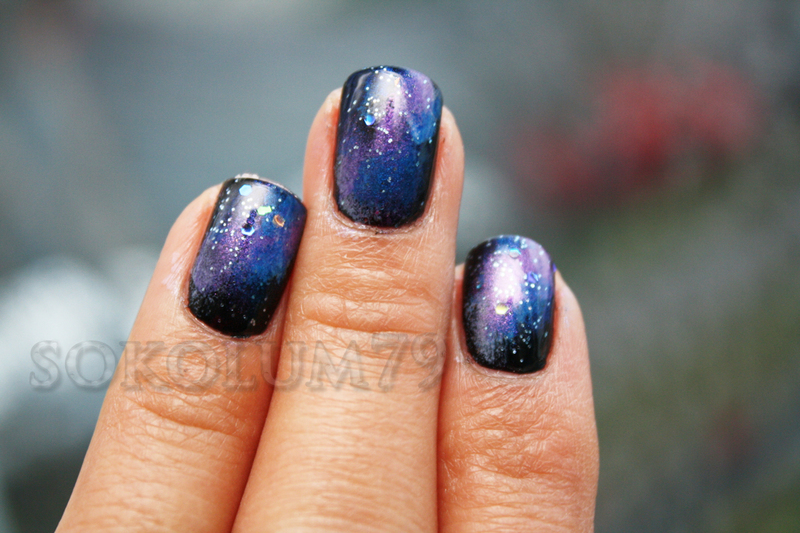 I finally got around to trying out the VERY trendy nebula/galaxy nail art (or is it over?). I have to admit, it was easier and quicker than I thought it was going to be and I quite like the finished look, especially with purple and holo-glitter. The colours used were Sinful Colors - Black on Black, Revlon Top Speed - Lily/610, Covergirl Boundless Color - Blue You/573, Rimmel 60 Seconds - Climax/660 and Covergirl Boundless Color - Amethyst Mist/410.